Weekly property review: Are strategic buyer alliances a new way to secure land? JOINING forces could be the way forward for family-scale farming or grazing enterprises looking to expand or consolidate their holdings, in the face of growing competition for large properties from corporates or foreign investors. The topic has arisen a number of times in discussions in property circles recently, including at Colliers International’s client gathering in Brisbane on Monday night. In this article, we find two very different case study examples of alliances of producers buying land that would otherwise be out of their financial reach. Earlier this month, seven Western Victorian farming families jointly purchased a 5200ha cropping and grazing aggregation in a deal worth $30 million. 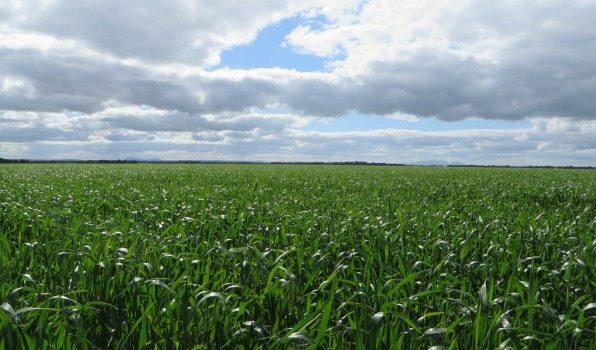 The portfolio, owned by Demeter Farming Australia (predominately owned by foreign investors) comprised 10 farms spread over a 75km radius from Skipton to Ararat in the highly sought-after Western District of Victoria. The holdings were marketed as a single lot. Some of the blocks were former blue-gum timber plantations and part of the failed managed investment scheme Environinvest. They were subsequently purchased by UK-based funds manager Altima Partners, held through corporate entity Demeter, and successfully converted back to agricultural land. Given its size and scale, the large parcel of land was being marketed directly to the corporate sector by CBRE in an off-market campaign, with a sales price expectation above $29m. Chris Mulcahy from Ballarat accounting firm Mulcahy & Co, said many corporates wanted to be involved in Australian agriculture, and while the capital investment was ‘welcomed and needed’, it could make it difficult for family-scale farmers to compete – particularly when looking to buy a landholding next door. He came across the Demeter portfolio when browsing the internet looking at land investment opportunities and thought it was a great opportunity for clients and local farmers looking to expand. The Demeter farms could not be purchased individually, making it extremely difficult for local buyers to get involved. However, Mr Mulcahy said the accounting firm saw it as an opportunity and looked at how it could make it work – firstly by securing the large agricultural parcel of land as a whole, and then offering it to farming clients who they knew were looking to purchase extra country. While it is the first time Mulcahy & Co has seen that number of farming families working together to secure a deal of this size, director Chris Mulcahy doesn’t believe it will be the last. Mr Mulcahy, who grew up on a farm, said farming was no longer a way of life. 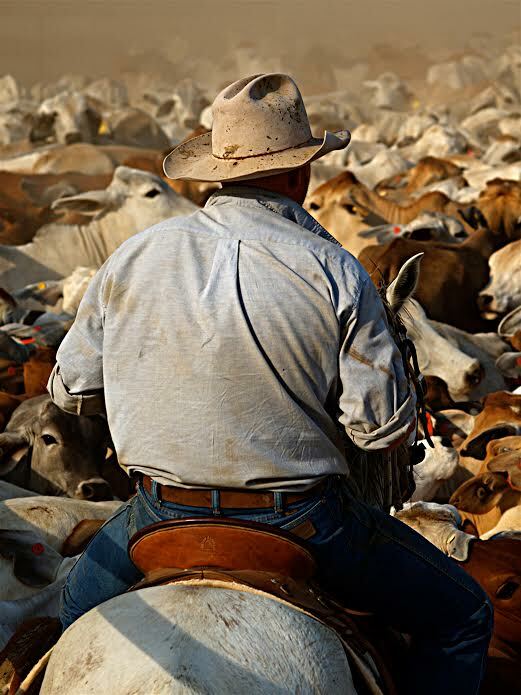 No better example of Queensland cattlemen working effectively together to compete on a very, very large parcel of land can be found than Wandovale Station, north of Charters Towers. It may have all happened 17 years ago, but the highly unusual, and innovative deal became a template for such transactions that has absolutely stood the test of time. Here’s what happened. In 1998, US-owned Shipfield Pastoral Co decided to reduce its extensive Queensland cattle assets, putting its massive Wandovale Station north of Charters Towers on the market. A single grazing lease covering more than 550,000 acres, Wandovale dwarfed surrounding family-owned grazing properties, mostly around 64,000ac (100sq m) in size. Many had been subdivided by the Queensland Government as ballot blocks. Wandovale’s extreme size was in part due to its historic origins as part of Queensland Stations Pty Ltd, established in the early 1930s. A number of the surrounding cattle producers were looking to expand at the time, but Wandovale’s sheer size, and herd numbers totalling 27,000 head, made it an impossible target. Townsville stock agent Tim McHugh, from Hogan & McHugh hatched a clever plan to create a ‘syndicate’ of nearby family-scale beef producers who collectively, could take the asset on. As country, Wandovale was ideal northern Queensland black and red basalt and granite breeding and growing country – highly attractive to local cattlemen – but there was just so much of it. Mr McHugh’s original plan was to buy the property and the cattle outright, through the syndicate, sell the cattle, and subdivide the single grazing lease into five smaller (but still very substantial) lease blocks. The largest portion, called Dozey, was itself 240,000 ac of country, but included some lesser quality breeding country. A change of Government in Queensland saw the original lease sub-division proposal torpedoed by an incoming Labor Government, so the plan changed a little to a common lease, shared by five owners, with boundary sub-division fences built. After almost 18 years, and several more changes of government, the original lease sub-division has now been effected into five separate pastoral leases. “The only thing that the investors really missed out on in the 16 years that they operated under a shared single lease was in using the land as security at the bank. Other than that, the principle was no different,” Mr McHugh said. Effectively, the five participants were shareholders in the company that owned Wandovale, each with a separate parcel of land. So how hard was it to find the right shareholders? “Four of them were on board straight away, when we floated the concept” Mr McHugh said. It took a little longer to find the final partner but before long a solid syndicate of five was formed. He said the five members all knew each other reasonably well, and the process of ‘dividing the pie’ was not particularly onerous, once the deal was done. The group made a pre-auction offer of $10.5 million, cattle included – a huge amount of money for that time. The bid was successful, in no small part due to a large measure of support from Shipfield’s general manager John Wilkinson (now a prominent stock and property agent in Clermont) in getting the deal over the line. The 27,000 cattle went to co-purchasers, Alan Acton and Gary Hill, and the remaining five syndicate members divided up the land. Despite its substantial overall purchase price, the various blocks taken by the five syndicate members turned out to be exceptionally good buying, on a per hectare basis, when compared with the district’s smaller landholdings. Eighteen years after the deal was clinched, four of the five original syndicate partners still hold their portions of Wandovale. For some of them, it meant doubling their landholding, at a very, very attractive price. Mr McHugh paid credit to Brisbane solicitor Bill Loughnan, who navigated through the highly unusual arrangement to write the co-purchase agreement, which served the group well until the subdivision of the original lease was completed a couple of years ago. Wandovale’s vendor, US investor George Ishiyama, said at the time of the sale that he was delighted to see the property returned to family-scale cattle producer owners in Australia. So why hasn’t the Wandovale exercise been repeated more frequently? “It took a lot of circumstances to be in play at the same time,” Mr McHugh said. “The right place, at the right time, with the right set of like-minded, receptive buyers, looking for family expansion,” he said.